The blog got around to reading the shooting script for On Her Majesty’s Secret Service. While very close to the finished film, there were still a few surprises, including a rail coach full of corpses. By this time, Maibaum had spent years developing a screen adaptation of one of Ian Fleming’s best 007 novels. Charles Helfenstein’s The Making of On Her Majesty’s Secret Service summarizes 10 different treatments or scripts, including this one. The blog obtained its copy from collector Gary J. Firuta. After that, the scene where Bond meets Tracy unfolds much as it does in the film. One difference is that Tracy is driving a Bugati, rather than the Mercury Cougar we’d see in the movie. On Her Majesty Secret Service’s gunbarrel. Immediately after the titles, however, Bond returns to MI6. In the final film, this wouldn’t occur until later. The script has Moneypenny changing the resignation to a request for leave. Before he departs MI6, there’s another scene in a garage area with the “latest model” Aston Martin. “You can break it in during your holiday,” Q says. The pre-titles sequence had Bond driving an Aston. This script says is a new model. Bond gets in the car and checks it out. “No reclining-seat lever?” Bond asks. The agent makes it to Portugal and, eventually, meets up with Tracy again. As in the movie, Bond uses his relationship with her to get some help from her father, Marc Ange Draco, in locating Blofeld. For the uninitiated, “merde” is the French version of a familiar swear word (if you don’t know it, just click here and look on GoogleTranslate). Evidently, in 1968-69, James Bond movies apparently weren’t ready to go that far in terms of language. Eventually, Bond gets back on Blofeld’s trail. He’s off to the College-of-Arms to meet with Sir Hilary Bray and Phidian, an artist. The latter leaves and Bond talks to Sir Hilary. What follows in the script is a major sequence that wouldn’t be in the film. “Put on any new personnel lately?” Bond asks. Bond is immediately suspicious and picks up the paperweight. “Talented, isn’t he?” Sir Hillary asks. It had been a warning from Phidian to Blofeld. “CONSIGNMENT NOT AS SPECIFIED. PHIDIAN.” Bond blocks out the word “NOT” and sends the telegram. Now, of course, Bond has to make sure Phidian’s death doesn’t appear suspicious. So Bond, assisted by Q (! ), stages a train accident. The dead Phidian and other corpses are put in a train coach. Here’s the description. The engine cab and coach full of bodies is switched off onto a siding. Bond and a motor man put on “crash-helmets and protective jackets.” They jump from the engine cab. The finished film may refer to all of this. Campbell, Bond’s MI6 contact in Switzerland, is reading a newspaper. It has a front-page headline referring to a fatal train crash. Some scenes have more dialogue than in the final film. After Tracy rescues Bond, she is driving her Bugati and they talk a bit more. Shall I stop so can spank me? Step on the gas, Countess. Business before pleasure. Later, after the pair find a “typical Swiss farm two-level stone and wood building” to stay for the night they talk a lot more. In fact, they’re downright chatty. Did you miss me at all? Up there on the mountain? I had…a lot to occupy me. Body and mind. Not quite, you don’t. I was…using people, Tracy. Using women, for my job. And I enjoyed it. If you didn’t, you wouldn’t do it well. You forget, James. I’ve used people too. And without even the excuse of a job. Do you mind? In this script, it’s Tracy who ends up proposing. Director Peter Hunt, in the documentary Inside On Her Majesty’s Secret Service, said he had it changed to Bond making the proposal. Hunt said in the documentary that Bond was the stronger character and therefore should be the one who proposes. Much later, at the wedding there are some bits that wouldn’t make the final film. M specifically tells Bond that all of the “angels of death” (the women Blofeld had programmed to distribute Virus Omega, which could wipe out grains and livestock) have been accounted for. Bond then begins to ask M if he’ll be godfather to his and Tracy’s first child. “You’ll find your Double-O man some day, dear girl,” Bond tells Moneypenny. “Bless you, James,” she replies. The scripts ends with Tracy’s death. One slight difference is in the stage directions. Hulu has released its trailer for Becoming Bond, which recounts George Lazenby’s short tenure as James Bond. The streaming television outlet will show it on May 20. The “unique documentary/narrative hybrid chronicling the stranger-than-fiction true story ” also is getting its world premiere March 11 at South by Southwest in Austin, Texas. 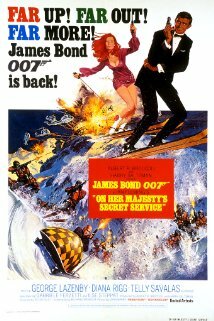 Lazenby’s sole 007 film was 1969’s On Her Majesty’s Secret Service. He won the role despite having no acting experience. The Peter Hunt-directed movie arguably was the most faithful adaptation of an Ian Fleming 007 novel. Josh Lawson plays Lazenby, with Adamo Palladino as Peter Hunt. The cast also includes Jane Seymour, who played Solitaire in 1973’s Live And Let Die. The trailer wouldn’t embed here at the blog, but you can view it at Entertainment Weekly’s website. UPDATE: Hulu has now posted the trailer to YouTube. You can view it below. Fans treat the object of their affection like LEGO blocks. You can just move a few blocks from here to there without any other differences. So it is with 007 films and 1969’s On Her Majesty’s Secret Service. For years — decades, actually — Bond fans have debated the subject. The 007 film series produced its adaptations of Majesty’s and You Only Live Twice out of order. Take out George Lazenby and put in Sean Connery? OHMSS would be a lot better is a common talking point. Except, real life doesn’t necessarily work that way. Except, you don’t get Peter Hunt as director. In turn, that means a ripple effect. You likely don’t get the most faithful adaptation of an Ian Fleming novel, as the 1969 movie turned out to be. Instead, you get You Only Live Twice except the character names and locations are changed. Meanwhile, you have a greater chance of an underwater Aston Martin (in one of the script drafts before Hunt came aboard). You may even get Blofeld as a half-brother of Goldfinger. All this isn’t speculation. Author Charles Helfenstein provides a summary of the various 1964-68 treatments and drafts for Majesty’s written by Richard Maibaum. Blofeld as Goldfinger’s half-brother was in a screenplay dated March 29, 1966, according to the book (pages 38-39). In real life, making movies is more complicated. Change a major piece, such as the director, and there are ripple effects throughout the production. Meanwhile, Eon Productions changed the order it filmed Dr. No and From Russia With Love. With the novels, Russia came first. Dr. No came second. The movies reversed the order. Yet, few Bond fans complain about that. Fan discussions about 007 movies are similar to debates among sports fans. Example: Which baseball team was better, the 1927 New York Yankees or the 1976 Cincinnati Reds? For fan purposes, things would have been a lot better if Ian Fleming hadn’t sold off the rights to Casino Royale, his first novel, so quickly. In theory, if that had happened, Eon could have done Fleming’s novels in order. Except, does anyone believe Sean Connery would have done a dozen Bond films? Would Connery really have been satisfied doing that many 007 films in a little more than a decade? On the other hand, would fans have been satisfied with a Bond series of only six Connery movies starting with Casino Royale and ending with Dr. No? Fans have their fantasies. Real life, though, is more complicated. Certainly, making movies is not like assembling LEGO blocks. James Bond was never the same after Goldfinger and director Guy Hamilton got done with it. The first two 007 films, Dr. No and From Russia With Love, were solid successes at the box office. Goldfinger was a spectacular one. The first two movies contained humor. Goldfinger expanded it. Dr. No had elements of stories found in pulp magazines and From Russia With Love was grounded in the Cold War. Goldfinger was outlandish, including a henchman with a deadly hat, a tricked out car with an ejector seat among other gadgets and a villain who planned to explode an atomic bomb inside of Fort Knox. In short, Goldfinger was 1964’s equivalent to today’s comic book-based movies. And Guy Hamilton, who died this week at age 93, was the ringmaster of the show. Hamilton, in interviews he granted in his later years, made clear Goldfinger was never intended to be anything other than escapist entertainment. Audiences couldn’t get enough. From that point forward, Bond had to be spectacular. Thunderball, helmed by original 007 director Terence Young, advertised itself as “the biggest Bond of all.” You Only Live Twice tried to be even bigger than that, including a villain’s lair hidden inside a volcano. The series tried to reel things back a bit with On Her Majesty’s Secret Service, with George Lazenby succeeding Sean Connery as Bond. Director Peter Hunt insisted on a faithful adaptation of Ian Fleming’s 1963 novel, unlike how You Only Live Twice jettisoned most of the author’s 1964 book. But Majesty’s was still huge and escapist, not a Cold War thriller like From Russia With Love. 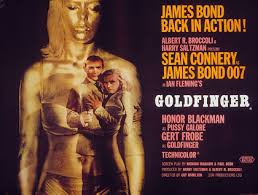 When Majesty’s box office fell off from You Only Live Twice (which in turn earned less than Thunderball), the production team opted for “another Goldfinger.” That included bringing Guy Hamilton back as director for Diamonds Are Forever. Diamonds also was helped by the return of Connery (a United Artists move). But the movie also reflected a clear change in tone from its predecessor to something much lighter and fluffy. Diamond smuggler Tiffany Case (Jill St. John) is aware of the existence of Bond (“You’ve just killed James Bond!” she says after 007 switches wallets with deceased thug Peter Franks.) Blofeld at one point dresses in drag as part of a getaway. Some sequences (a chase involving a moon buggy and plant security cars comes to mind) contain a lot of slapstick. Bond again was a success at the box office. Hamilton was retained to help introduce Roger Moore as the new 007 after Connery again departed the series. The lighter tone continued, even intensifying, including a long boat chase in Live And Let Die and a ditzy Mary Goodnight in The Man With the Golden Gun. The former was a big hit worldwide, becoming the first Bond to exceed Thunderball at the box office. Golden Gun, however, fell off from that. Hamilton was hired to direct his fifth Bond, The Spy Who Loved Me, but changed his mind and bowed out. In the 1990s, Hamilton told writer Adrian Turner that he probably had stayed too long with the series. Perhaps so. Nevertheless, Hamilton had an enormous impact on the film Bond. Goldfinger let a genie out of the bottle. It wasn’t until the 21st century with the 007 films of Daniel Craig that there was a sustained, concerted effort to dial back humor. For Your Eyes Only and Licence to Kill were one-off attempts to do so. Even so, the former included an ending with slapstick involving a Margaret Thatcher lookalike and the latter had an over-the-top Wayne Newton and an ending featuring a blinking fish. Even the Craig films, though, reflect the Hamilton-directed Bond movies. Skyfall and SPECTRE include the tricked out Aston Martin DB5 from Goldfinger. (Casino Royale had a different, left-hand drive DB5 without gadgets.) A car chase in SPECTRE contains Goldfinger-style lightness. Quantum of Solace had a Goldfinger homage — a woman dipped in oil, rather than a woman painted in gold paint. Goldfinger’s impact on the series lingers today. Guy Hamilton was one of the major reasons. Turner Classic Movies will show five spy films the evening of Jan. 25 and early-morning hours of Jan. 26. Here’s the lineup. All times EST. 8 p.m.: Arabesque (1966), directed by Stanley Donen: Donen had a success with 1963’s Charade, a suspense film that included a bit of humor. That movie also included a score by Henry Mancini and titles by Maurice Binder. Mancini and Binder reunited with Donen on Arabesque, with Gregory Peck as a university professor who gets involved with spies as well as a woman played by Sophia Loren. Also present was Charade scripter Peter Stone. However, Stone took an alias (Pierre Marton) and shared the screenplay credit with Julian Mitchell and Stanley Price. 10 p.m.: The Ipcress File (1965), directed by Sidney J. Furie: James Bond co-producer Harry Saltzman launched a second, less flamboyant, spy film series based on Len Deighton’s novels. This was a source of tension with Saltzman’s 007 partner, Albert R. Broccoli. The name of Deighton’s spy wasn’t disclosed in the novel that’s the basis of this movie. The character, as played by Michael Caine, was christened Harry Palmer for the film. 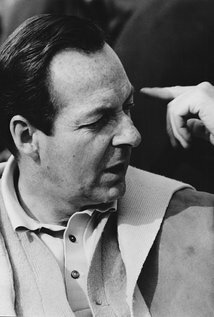 For the first of three Palmer films, Saltzman hired a number of 007 film crew members, including composer John Barry, production designer Ken Adam and editor Peter Hunt. 12 a.m.: Our Man Flint (1966), directed by Delbert Mann: The first of two spy comedies with James Coburn as Derek Flint. 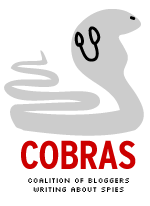 The movie takes nothing seriously, with an organization called ZOWIE (Zonal Organization for World Intelligence and Espionage). ZOWIE is headed by Kramden (Lee J. Cobb), who gets exasperated when he’s forced to recruit Flint (who wouldn’t follow orders when Kramden knew him during their military days). Kramden has no choice because ZOWIE computers have pinpointed Flint as the only man who can foil a plot by Galaxy. The best things about the movie are Coburn’s winning performance as Flint and Jerry Goldsmith’s score. Goldsmith’s music elevates the proceedings. In terms of production values, it looks only slightly more expensive than the television series produced at the time by 20th Century Fox. 2 a.m.: Our Man in Havana (1959), directed by Carol Reed: The director again collaborates with Graham Greene, who adapts one of his novels. Vacuum cleaaner salesman Alec Guiness is recruited by British spook Noel Coward to do some spying in Cuba before the revolution. The cast includes Maureen O’Hara, Burl Ives and Ernie Kovacks. 4 a.m.: The Prize (1963), directed by Mark Robson: A spy tale starring Paul Newman centered around the Nobel Prizes being awarded in Stockholm. The script is by Ernest Lehman, who wrote 1959’s North by Northwest. Here Lehman adapts an Irving Wallace novel. The cast includes Leo G. Carroll, who was also in North by Northwest and who would shortly take the role of Alexander Waverly in The Man From U.N.C.L.E. Jerry Goldsmith provided the score. Shoutout to Mark Henderson who brought this up on Facebook. On Her Majesty’s Secret Service has a special place in the James Bond film series. It’s the film closest to its source material, Ian Fleming’s 1963 novel of the same name. It’s also a movie whose reputation has improved over the years. Yet, fans keep pining for things that cannot be. If only the movies had been made in order of the novels, instead of reversing the order of Majesty’s and You Only Live Twice. If only the experienced Sean Connery had played Bond in Majesty’s instead of newcomer George Lazenby. OHMSS would have been a lot different if it had been filmed in 1966 instead of You Only Live Twice. The fan argument about the filming the Fleming novels in order (Majesty’s first, followed by Twice instead of the other way around) assumes we’d have gotten essentially the same movie as the one released in 1969. Charles Helfenstein’s The Making of On Her Majesty’s Secret Service, published in 2009, provides a rundown of various Majesty’s treatments and script drafts. According to Helfenstein, Richard Maibaum had a 1966 OHMSS treatment and draft including “an aquatic Aston Martin” a lot more gadgets than the 1969 film would have and the relevation that Blofeld was the brother (treatment) or half brother (draft) of Auric Goldfinger (pages 27-29). That’s only one example. The book includes a table (pages 38-39) summarizing the differences of 10 different treatments and drafts, from 1964 through the 1969 film’s shooting script. The main thing in common is Tracy, Bond’s doomed wife, dies in all of them. Peter Hunt, making his directing debut in Majesty’s, was one of the driving forces to keep the movie faithful to the novel. Had Majesty’s been after Thunderball, Hunt wouldn’t be the director. We might have gotten a similar film, but it’s likely we would have gotten something with more gadgets and a different tone (probably closer to Goldfinger) than audiences received in 1969. Would Majesty’s really be better with Sean Connery than George Lazenby as Bond? For many, the answer is “of course.” Lazenby had no real acting experience before the film and Connery was, well, Connery. But not everyone subscribes to this conventional wisdom. 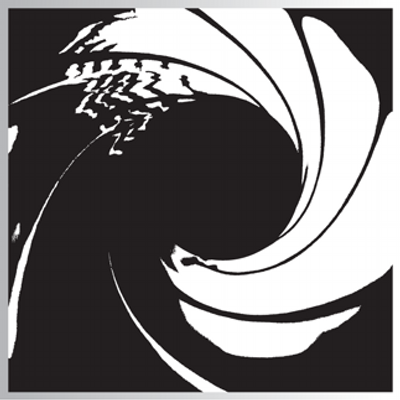 Writer Jeffrey Westhoff IN THIS ESSAY (in which he details why Majesty’s is his *favorite movie* not just favorite 007 film), argues against that idea. Here’s an excerpt. I have often heard film critics and fellow Bond fans acknowledge the superior script and technical work in OHMSS, but then say, “It would be the best James Bond movie if only Sean Connery were in it.” I reject that. But let’s pretend a younger, amenable Connery was cast in an OHMSS directed by Hunt. It’s still a dubious proposition. For the story of OHMSS to work, particularly the ending, Bond must be vulnerable. From Goldfinger onward, Connery’s Bond was invulnerable, Superman in a tuxedo. I’m not saying Connery didn’t have the ability to play Bond as vulnerable, but after Goldfinger I doubt the audience would have accepted it. The thing is, there is no right or wrong answer to all this. Without a time machine to go back to change events, or the ability to travel to an alternative universe where things occurred differently, there’s no way to know. At the same time, real life is more complicated than what we want. So it is with On Her Majesty’s Secret Service. 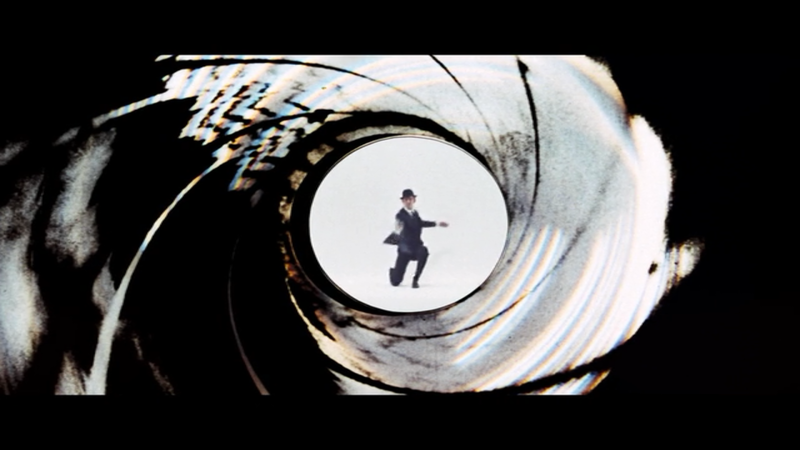 The only certainty is the movie remains — perhaps flawed but still one of the best entries in the Bond series.